What was once a sea of wall-to-wall carpet, low ceilings and tight cramped spaces from the 60’s was transformed into our stunning Tierra Drive remodel project. You can read a little more about the overall design and project scope here. 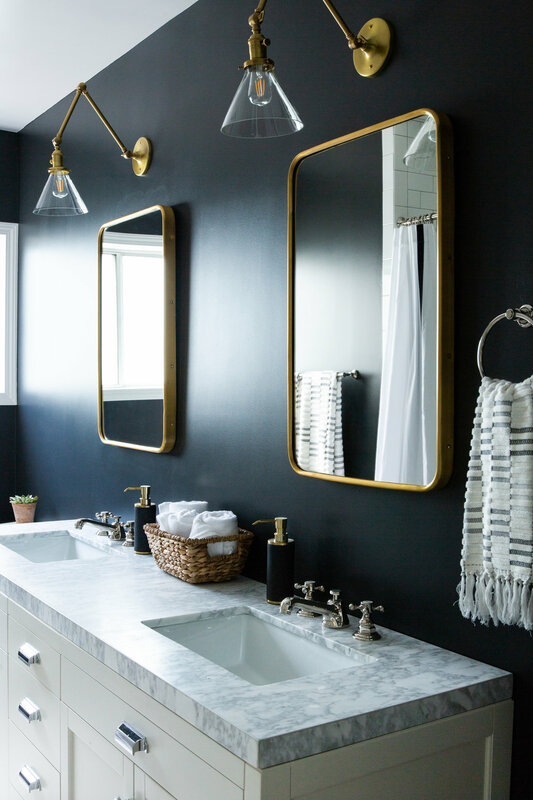 Creating a brand new laundry room out of the former dining room, expanding and creating a luxe master bath and choosing finishes for a dapper boys bathroom were all on the agenda. In the Master Bathroom, the client really wanted to create a bright and clean, spa-like retreat. 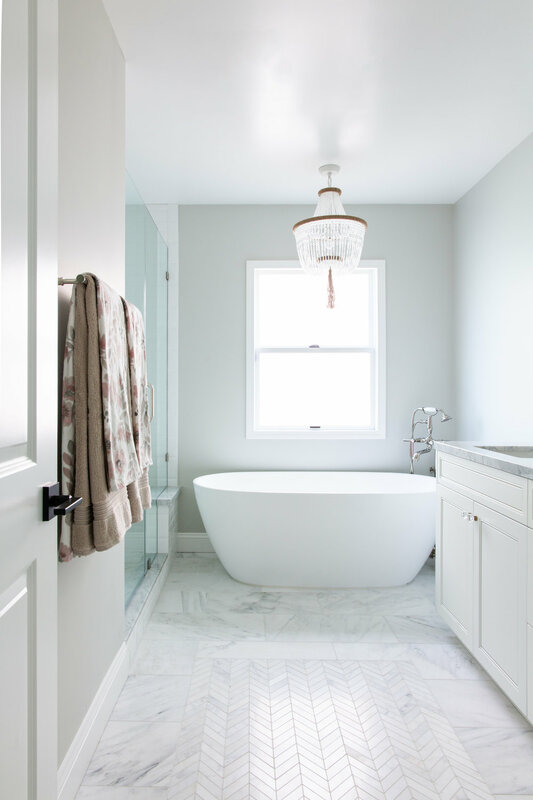 We chose marble, a white vanity and very light and airy details to help create a serene space. Because the new laundry room was just off of the kitchen, we created continuity with the same cabinet color and played up the fun factor with a striped wallpaper. On the floors, we chose slate tile in a herringbone pattern that really helped tie everything together. The Boys Bathroom was a spot where we could have a lot of fun with the design. We wanted a bold look that the kids could grow into, while also creating a space that worked for guests. We picked Cheating Heart by Benjamin Moore as the bold, rich wall color and mixed metals for visual interest. Take the full tour of these spaces below and if you missed it, catch up on the kitchen and living room reveal from this project right here.